Spain’s Camino de Santiago, the Way of St. James, has been a cherished pilgrimage path for centuries, visited by famous actors, writers, and filmmakers, as well as countless otherwise ordinary people searching for healing, solace, purpose, and hope. 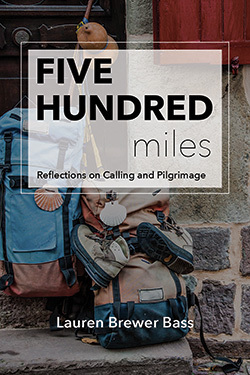 Five Hundred Miles: Reflections on Calling and Pilgrimage is by one of the latter; it is Lauren Brewer Bass’s honest look at the often winding, always surprising journey of a calling. Using stories from her five-hundred-mile-long walk, she brings new language and new metaphors to our discussions of purpose, ministry, and everyday life. Lauren Brewer Bass is a Fort Worth, Texas, native and holds a Master of Divinity degree from Logsdon Seminary in Abilene, Texas. She has traveled to 42 countries, including Spain, where she walked a 500-mile pilgrimage across the Iberian Peninsula. Lauren and her husband, David, are preparing to serve as Cooperative Baptist Fellowship field personnel in Phnom Penh, Cambodia. She blogs regularly at www.davidandlaurenbass.com. “Calling is a long walk,” says Lauren Brewer Bass. It’s a “sacred journey.” We know more about that spiritual metaphor after metaphorically trailing her on the Camino de Santiago. Her pilgrimage of faith comes clearer because of her pilgrimage on foot. And so will yours along whatever way you travel with and to God. Part Cheryl Strayed finding herself on the Pacific Crest Trail in Wild, and part Parker Palmer offering tools to seek the voice of vocation in Let Your Life Speak, Lauren Brewer Bass’s Five Hundred Miles: Reflections on Calling and Pilgrimage takes the reader on a journey of God-shaped proportions as she listens honestly for the call of Love. Lauren beckons all who strain to hear that same call to join her on the winding path of pilgrimage, where the Spirit’s companionship can both rub blisters and grant blessings. No matter the road you may be on, Five Hundred Miles will quickly become a trusted partner. Lauren Brewer Bass’s Five Hundred Miles is a sort of Wild for the Christian soul seeking to live its calling. Lauren tells the story of her experience of walking the Camino de Santiago in Spain as a way to imagine calling as a journey rather than a destination. Her insights will no doubt be an inspiration to young people who are setting out on their own paths to live their callings as faithful pilgrims. This is the author’s account of her pilgrimage along the Camino de Santiago in Spain. As her experience unfolds, it becomes a metaphor for traveling the path to discover one’s calling in life. 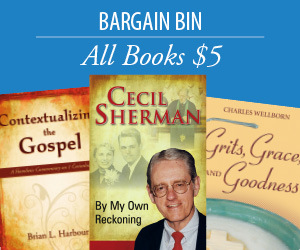 This book is much more than a recounting of a personal pilgrimage. It is an invitation and a blueprint for all persons of faith walking the path to authentic calling.